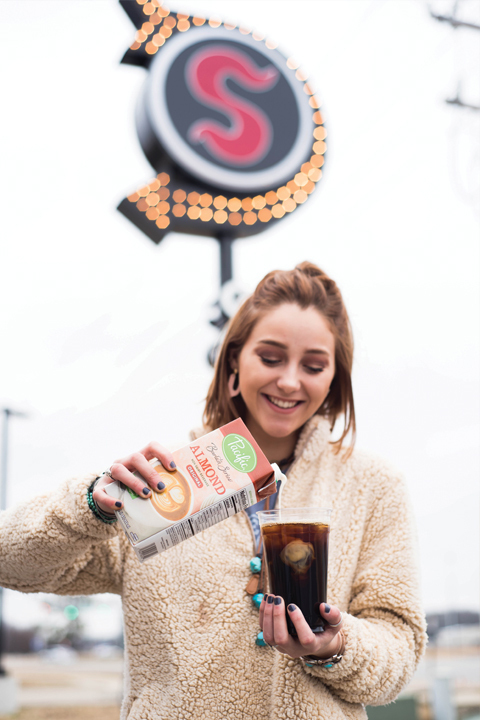 Since its inception in 2005, Shadrachs Coffee has become a favorite among the coffee-loving locals of the Jonesboro community. Owners Larry and Risa Billing have responded to the success by continuing to expand the business over the years by broadening the menu and by adding several locations throughout the city. Before moving to Jonesboro in 2004, Larry, a California native, and his wife, Risa, resided in her home state of Oregon, where they were searching for teaching jobs. Larry went on to work as a substitute teacher, as finding a permanent teaching job in the area wasn’t easy at the time. A graduate of Harding University in Searcy, Larry found himself visiting the Jonesboro area while in college because his sister and her family lived in the city. After continued difficulty finding work in Oregon, Larry and Risa decided on a whim to pursue the coffee business. The two packed up their belongings and moved to Jonesboro at the recommendation of Larry’s sister. The two ultimately decided that this was where God wanted them to set up shop. After moving to Jonesboro, Risa got a teaching job while Larry continued to pursue his newfound coffee business. A few months after their arrival and after finding an available kiosk location on Nettleton Avenue, Shadrachs Coffee opened and began serving locally roasted coffee. Shadrachs Coffee grinds and roasts 100 percent of the coffee it sells to its customers from its “fiery furnace,” also located in Jonesboro. Each week, Shadrachs receives green coffee beans in 150-pound sacks; the Shadrachs team then uses a 25-pound roaster to roast each of the unique and flavorful blends the business offers to the community. After years of hard work and positive feedback from the Jonesboro community, Larry was convinced that he could pull off opening several different locations. The Billings currently have four drive-thru Shadrachs kiosks located on East Nettleton Avenue, Southwest Square, Red Wolf Boulevard and, most recently, the Caraway Road location. Not only has the number of locations grown, but the menu has expanded, as well. In the beginning, customers could order different coffee roasts and blends, available either iced or hot. 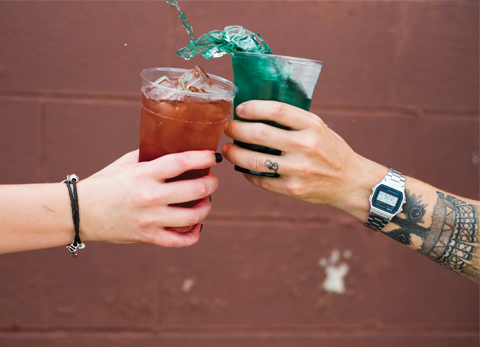 Today, Shadrachs not only offers delicious coffee, but also flavor add-ins, fresh fruit smoothies, steamers, teas, ice cream shakes, Italian sodas and the new Ragin’ Red Bull. Each Shadrachs location also sells an array of fresh coffee roasts by the bag, available in light, flavored, medium, dark and decaf. Shadrachs has even added fresh muffins and Umpqua Oats to the menu so that its customers can enjoy an on-the-go breakfast. 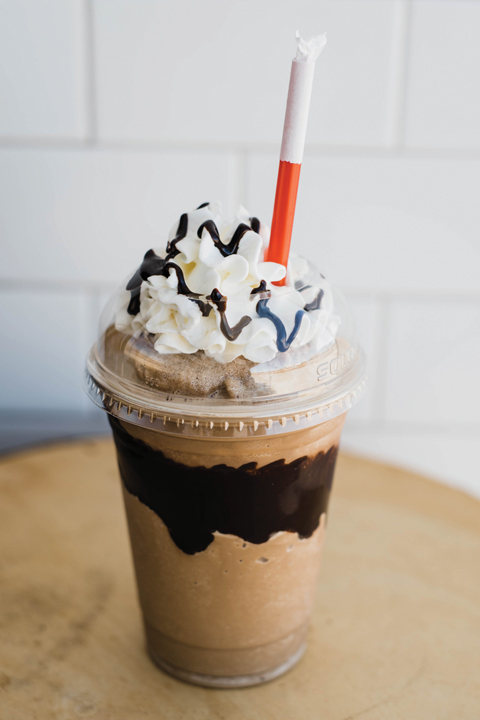 Shadrachs’ best-selling menu items include drinks such as the White Mocha, White Snickers, Frozen or Blended Salted Caramel, Iced Kahlua Kicker, classic pour-over Columbian coffee and the Blue Raspberry Ragin’ Red Bull. For the month of February, Shadrachs will offer its Sweetheart Mocha drink along with its popular Valentine’s Day box sets, which include a new retail item. 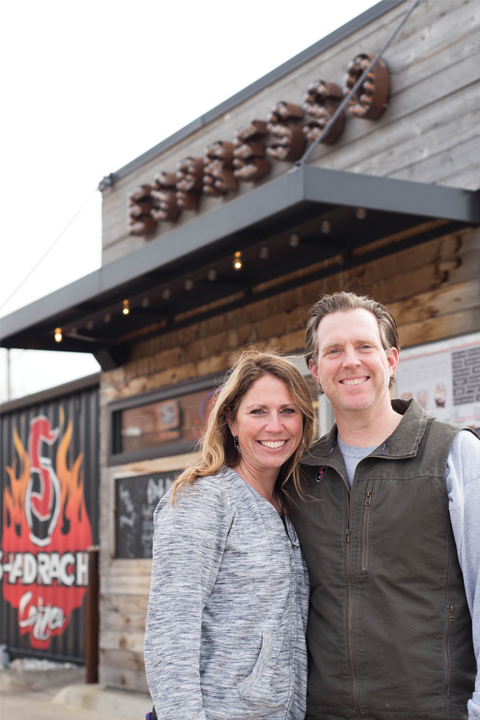 Although Shadrachs has seen many changes over the years, one very important thing has remained the same – the support and love the Jonesboro community has shown to Larry, Risa and their locally-made coffee business. “We at Shadrachs are grateful for the unwavering support from the community,” said Larry. “It’s been such an encouragement to see them show up through the seasons, whether it’s at a new location or the launching of a new product. As for the future of Shadrachs Coffee, Larry adds that the company is anticipating the next phase for the business and will make an announcement on its social media pages very soon. Shadrachs Coffee has locations at 3326 E. Nettleton Ave., 2501 Southwest Square, 2930 Red Wolf Blvd. and 2916 S. Caraway Road. The East Nettleton Avenue, Southwest Drive and South Caraway Road locations are open Monday through Friday from 6 a.m. to 6 p.m. and Saturday from 7 a.m. to 5 p.m. The Red Wolf Boulevard location is open Monday through Friday from 5:30 a.m. to 9 p.m. and Saturday from 6:30 a.m. to 9 p.m. To keep up with the latest specials and news, follow Shadrachs Coffee on Facebook and Instagram.